Danis is head of the Section on Ethics and Health Policy in the Department of Bioethics Clinical Center at the National Institutes of Health. Previously, she was on the faculty of the Division of General Medicine and Clinical Epidemiology at the University of North Carolina, where she directed the medical intensive care unit and studied patient preferences for life-sustaining treatments and the use of advance directives. She has held several leadership roles: chair of the Ethics Committee of the Society of Critical Care Medicine; president of the International Society on Priorities in Health Care and board member of the American Society for Bioethics and Humanities. She has also served on several working groups for the Center for Disease Control and Prevention and on the ethics panel for the World Health Organization during the Ebola epidemic. She has served on editorial boards for the Journal of General Internal Medicine, Critical Care Medicine, and the AMA Journal of Ethics. Her research currently focuses predominantly on the ethics of health policy, public engagement in priority setting, and efforts to address the social determinants of health and reduce health disparities. She also studies strategies for improving ethics consultation. 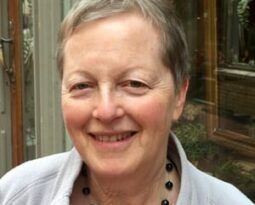 She has published many articles on patient preferences and the extent to which they are incorporated into practice; and the ethical dilemmas encountered by clinicians and clinical investigators. Her books include Ethical Dimensions of Health Policy; Research Ethics Consultations: A Casebook; and Fair Resource Allocation and Rationing at the Bedside. Danis attended medical school at the University of Chicago and trained in internal medicine at the University of North Carolina at Chapel Hill.